After graduating from Buhler High School in Buhler Kansas, Dr. Sweet attended Kansas State University where he received his Bachelors degree in 1978. After graduation, Dr. Sweet moved to Kansas City to attend the University of Missouri Dental School at Kansas City. In 1982 he received his Doctor of Dental Surgery degree. Following an 8 year partnership in Hutchinson, Kansas, Dr. Sweet opened his individual practice in 1990 in Hutchinson, Kansas. Dr. Sweet is a member of the American Dental Association, the Kansas Dental Association, the Academy of Orthodontic Society. Dr. Sweet updates his dental education on a regular basis. He is active on many dental-related Internet sites and frequently attends continuing education courses to keep him current with new dental technology and techniques. Dr. Sweet has 4 children: Rachel, Megan, Haley, and Logan, as well as four grandchildren. His interests include traveling, boating on lakes, working on his farm, raising cattle and sales of fireworks. 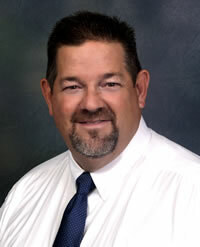 Dr. Sweet can be reached at sweetdds@swbell.net. Hello, my name is Elizabeth Beamer. I joined Dr. Sweet's dental team in 2018. Outside of the office I enjoy spending time with my husband Jeff, going to the lake and traveling to Colorado. As the receptionist in our office, I enjoy greeting our patients and helping with insurance billing. I look forward to seeing you soon! 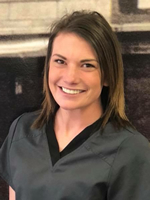 Hi, my name is Dallas and I joined Dr. Sweet's dental team in 2018. I am a dental assistant for Dr. Sweet. 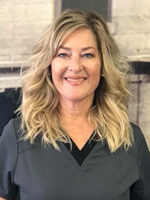 I enjoy what I do, especially when it comes to getting to know our patients and ensuring they are in a relaxing and comfortable environment. When I am not in the office I keep myself busy by hanging out with friends and family, traveling, and attending concerts and sporting events! I look forward to seeing you in our office!